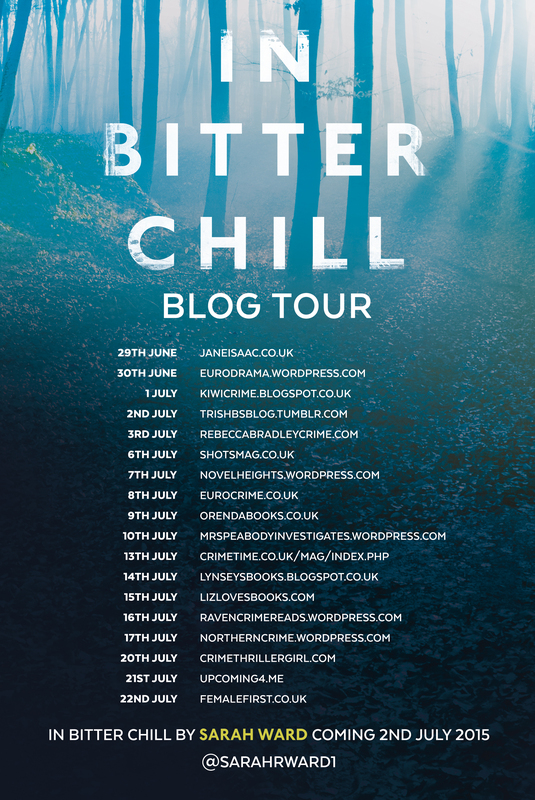 Posted on July 10, 2015 by Mrs P.
I’ve known Sarah Ward for a few years as a blogger at Crimepieces and as a fellow judge on the Petrona Award, and have watched her journey from aspiring to published crime writer with fascination. I’d been looking forward to reading In Bitter Chill (Faber, 2015) for a number of months and it arrived at a perfect moment: a brief lull in work that coincided with some proper summer weather. So I made a bit of an occasion of starting the book, complete with Welsh deckchair and tapas. A very lovely afternoon. In Bitter Chill is set in Bampton, Derbyshire, and focuses on an unsolved case from January 1978 – the disappearance of two young girls on their way to school. One, Rachel Jones, was found shortly afterwards, but can only remember flashes of what took place. The other, Sophie Jenkins, remained missing and is presumed dead. Thirty years on, Sophie’s mother commits suicide, triggering a review of the case by the local police team. Rachel, who still lives in Bampton and now works as a family history researcher, finds herself being drawn unwillingly back into the past and its attendant traumas. In Bitter Chill is a gripping and polished debut. A standout factor is the narrative’s deft construction, which shifts between the present and the events of 1978, but whose forward momentum keeps us wanting to read on (I finished the book in two sessions over two days). Another is the characterisation of the main protagonists – I particularly liked Rachel, an endearing but complex figure, and the police team, Detective Inspector Francis Sadler, DS Damian Parker and DC Connie Childs, whose individual temperaments and abilities are extremely well drawn. The way in which the novel switches between the viewpoints of the investigators and of Rachel as a survivor dealing with the fall-out of past events gives the narrative impressive depth. I also enjoyed the strong sense of place – of a Derbyshire not far from cities such as Manchester and Sheffield, but with a fundamentally rural character in close proximity to the Peak District. In sum, this is a extremely well-written, accomplished debut, which, in spite of its chilly title, is a perfect summer read. Get that deckchair out now and enjoy! An interview with Sarah is available over at Crime Fiction Lover. This entry was posted in 4 stars, Book reviews, By country, England and tagged In Bitter Chill by Mrs P.. Bookmark the permalink. Sounds like a blissful afternoon! Just the book to keep you chilled on a hot summer afternoon, by the sounds of it! Have found out more about Sarah’s background and her time in Greece (as well as being familiar with her book reviews), so am even more interested in reading this now. Hope you enjoy, MarinaSofia. It’s a really accomplished debut and a lovely summer read. 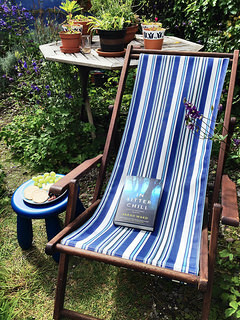 That photo of your deck chair, the book, the plate of delicious bites has me green with envy! There is no way I could sit outside here in Beijing as it is swelteringly hot. However I am about to go on-line and try to get the book on my kindle, sounds just my cup of 绿茶 (green tea). It was an idyllic afternoon 🙂 Do you get out to the parks in Beijing for an evening stroll? It must be hard to deal with the heat. Hope you enjoy In Bitter Chill. A crisp, January setting, so will hopefully cool you down. Exactly what I thought of In Bitter Chill, too. I enjoyed two days reading it, with tea and treats nearby and not answering the phone or reading emails. A two-day reading vacation, what I enjoy. Then I tried to figure out what to read next as I needed to stay on a good-book momentum — and came up with Eva Dolan’s second book. 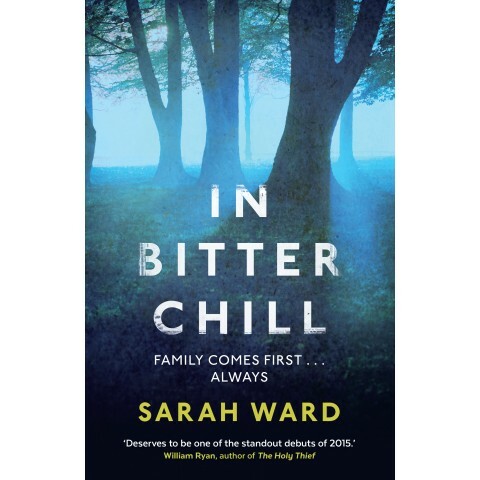 I eagerly anticipate reading Sarah Ward’s second book and will put aside the time immediately when I obtain it. Sounds lovely, Kathy. There’s a particular pleasure in being able to cut oneself off like that with a good book and some treats. 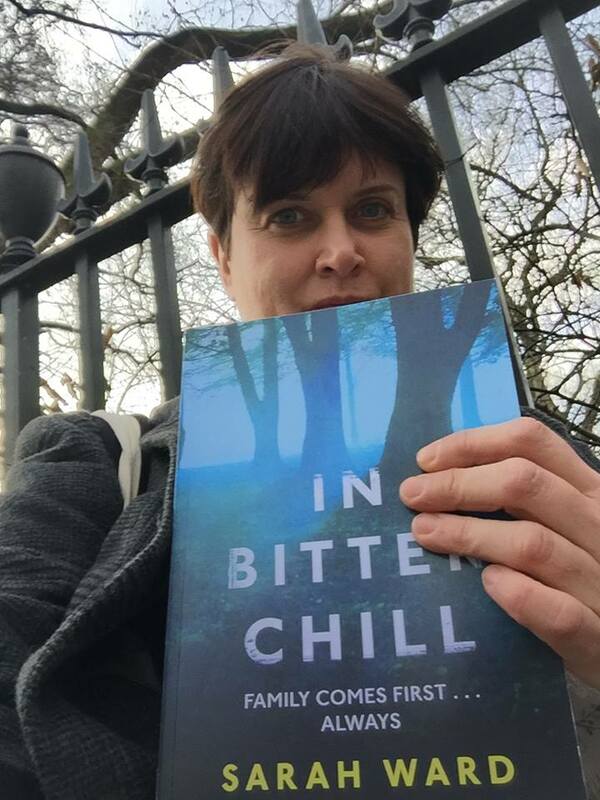 Really glad to hear you liked In Bitter Chill; it would be lovely if it did well on your side of the pond. I definitely need to read this one – sounds brilliant.